The American Health Care Act (AHCA) is the Republican party’s plan to repeal and replace the Obama’s “Affordable Care Act” (also knows as Obamacare). It is expected to eliminate the mandate that all Americans purchase health coverage or pay a fine and repeals some parts of the Affordable Care Act. The AHCA is a 123-page bill which would keep some of the most popular parts of Affordable Care Act, including a ban on preexisting conditions, allowing young adults to stay on their parents’ plan up to age 26, and banning lifetime limits in health insurance. It rolls back significant part of the health care law’s insurance expansion, which currently covers about 20 million people. According to liberal media AHCA will make Medicaid and private individual insurance less accessible to low and middle-income Americans. In private insurance, AHCA is expected to provide lower subsidies for those who buy coverage on the individual market. The Kaiser Family Foundation, which is considered as non-biased, despite that many Conservatives say it leans left, estimates that, on average, the subsidies in AHCA are 36% lower than those in Obamacare. The foundation published an interactive map “Tax Credits under the Affordable Care Act vs. the American Health Care Act“. It compares county-level estimates of premium tax credits consumers would receive under the Affordable Care Act (ACA) in 2020 with what they’d receive under the American Health Care Act as unveiled March 6 by Republican leaders in Congress. The KFF map include premium tax credit estimates by county for those at age 27, 40, or 60 with an annual income of $20,000, $30,000, $40,000, $50,000, $75,000, or $100,000 who enrolled the current health care marketplace. In an article “The Republicans’ health care plan, explained in 500 words” Vox.com says that “Obamacare expanded Medicaid to cover all Americans who earn less than 138% of the federal poverty line (about $15,000 for an individual). Before the health care law, only certain low-income people, such as pregnant women below a certain income threshold or the blind and disabled could use the program. The editor Sarah Kliff, explains that AHCA is expected to keep the Medicaid expansion until 2020. From 2020, the states should stop enrolling people and anyone who fell off the program would not be allowed back on. Some other changes in the Medicaid mean that the federal government will give the states certain budget to cover each person in Medicaid, so it is possible that some states would run not have enough money to cover high-cost patients. Under the current laws the federal government pays a certain percent of the bill for everyone who has enrolled Medicaid, no matter how high it is. It is still note clear yet, how much this provision of AHCA will cut Medicaid. Other important changes in the AHCA, according to Vox author, provide advantage to higher-income people and disadvantage low earners. The current laws haven’t provided financial help to individuals who earn more than $48,000. The American Health Care Act (AHCA) will give subsidies to people who earn as much as $75,000. The subsidies will be the same for everybody who earns less than $75,000 and that’s a huge change from the current health law. Now those who earn $20,000 receive more financial support under Obamacare, than someone who earn $40,000. 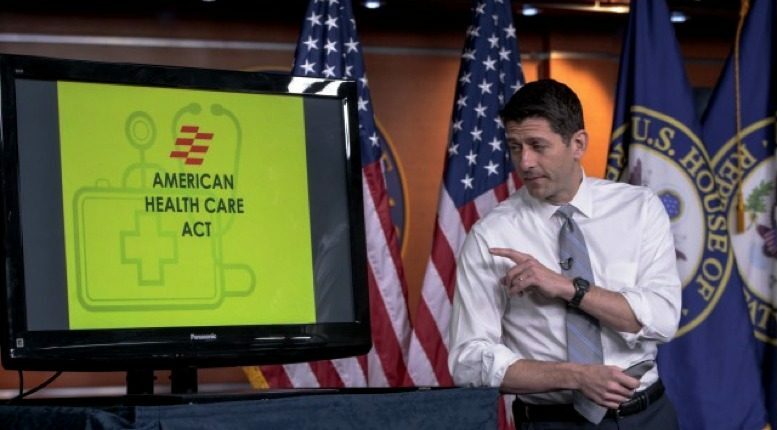 Is AHCA A Good Start? “The ACA dictated insurance choices to individuals and families with its bronze, silver, gold and other levels. It required that they shop in government-run exchanges to get subsidies, and it levied a fee on those who were uninsured. The AHCA places trust in the decisions of individuals and families by making greater use of health savings accounts and respecting their ability to follow incentives to be continuously insured. Its refundable tax credit will be available to all low- to moderate-income individuals and will tend to equalize the tax treatment of employer and individual insurance. What’s The Next Step For AHCA? Republicans have already started replacing the Affordable Care Act by processing legislation through two committees in the House. The Congressional Budget Office is expected assess of the cost of the new health bill. It will estimate the number of people who would lose insurance under the new American Health Care Act (ACHA). It is very likely that the assessment on cost and coverage would be a starting point for changes to the legislation. The Budget Committee is expected to accept the legislation and pass it to the House. Then a debate is expected in House, where lawmakers are likely to propose changes. Once approved in the House the AHCA bill goes to the Senate. This is only the first phase of changes of all three, planned by Republicans. Wall Street Journal reports that the House Speaker Paul Ryan is about to present a second health bill this month. The purpose of this piece of legislation is to cut the cost of health insurance. WSJ explains that “Under Senate rules, these provisions cannot be included in the privileged bill and will take 60 Senate votes to pass“. It is possible that the bill would ease rules for insurers to sell policies across state lines and would loosen rules for “association health plans” arrangements by trade groups or others to offer insurance. The plan’s opponents say that those could lead to less-comprehensive insurance coverage. The third phase of GOP health care laws contains actions that the president’s administration can take on its own. It has already issued rules intended to support the individual insurance market until the new Republican version of the health system is put into practice. It is also possible that the states to be given more flexibility in running Medicaid programs. Insurers could be allowed to sell policies without maternity care or other benefits now required under law. According to WSJ, some Republican senators have expressed the opinion that the bill as structured now cannot pass the Senate. Therefore if the House adds new conservative provisions,this would only make the bill passage in the Senate even harder. It is possible that the Senate would decide to ignore the House bill and go back to the drawing board.